We may have been to some of the best restaurants in Kuala Lumpur, but sometimes, the best food is located at the food court. For quick on-the-go meals, Suria KLCC's Signatures Food Court seems to be introducing new establishments recently. First it was Thai Authority (the place once occupied by fast food giant McDonald's) and now there's Surf & Turf. Surf & Turf offers the likes of Fish and Chips (RM12), Grilled Butter Prawn (RM15), Prawn Fajita (RM15), Roast Chicken (RM12-18), Grilled Lamb Shoulder (RM18) and more. Wanna mix your Surf and Turf? There's the Surf and Turf Platter at RM22. Roast Beef (RM18) with two sides. They're quite generous with three meat slices. 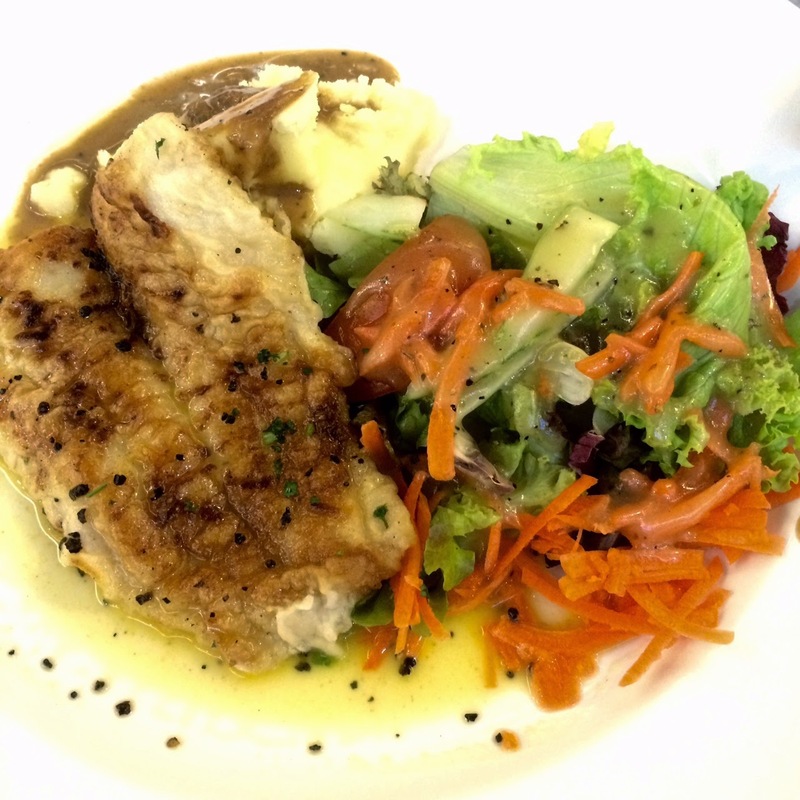 Grilled Fish With Lemon Sauce (RM12). Do bear in mind this is not some fancy diner, but having ordered from this place thrice, I am quite happy with the food. Perfect if you work around the area and needing some quick bites. See, even food court offers nice food! Now I just wish they have chilli or tomato sauce that goes with the fries. INFO: Surf & Turf, Signatures Food Court, Level 2, Suria KLCC.